I’ve come to accept that I develop odd affinities for my electronics. I tend to use the same devices till they either completely fall apart, or when something really game changing appears. They’re my primary creative outlets, and I love them. This 27 inch (68.6cm!) Retina iMac is a qualifying game changing device. Since the iPhone 4, Retina screen fans have waited with baited breath for this theorised Apple desktop that could give us the same font clarity and photographic detail in a large display. Retina screens are achingly beautiful, and I’m absolutely pedantic enough to appreciate every tiny detail. If you’re not, well, what can I say. The new Mac Pro gave us the first glimmer of hope of a Retina desktop. I pictured my ideal setup of a modestly spec’d Mac Pro and a ViewSonic 3840×2400 display, but a quick look at a release timeframe and the expected cost would bring me down to earth. With a Retina iMac, we could bump the specs up and still be cheaper than the Mac Pro alone, let alone one with a separate Retina display. It also has the benefit of existing as a solution, today. I’d likely be fine with the base specs, but the 4.0GHz i7 looks to be an amazing CPU. I’d also prefer to throw as much grunt behind such a gargantuan display as I could. If I had to compromise, I’d probably stick with the i5 with the 4GiB GPU. The SSD is the same price as a Fusion Drive, and I’ve got enough storage in my NASs (NASii?). 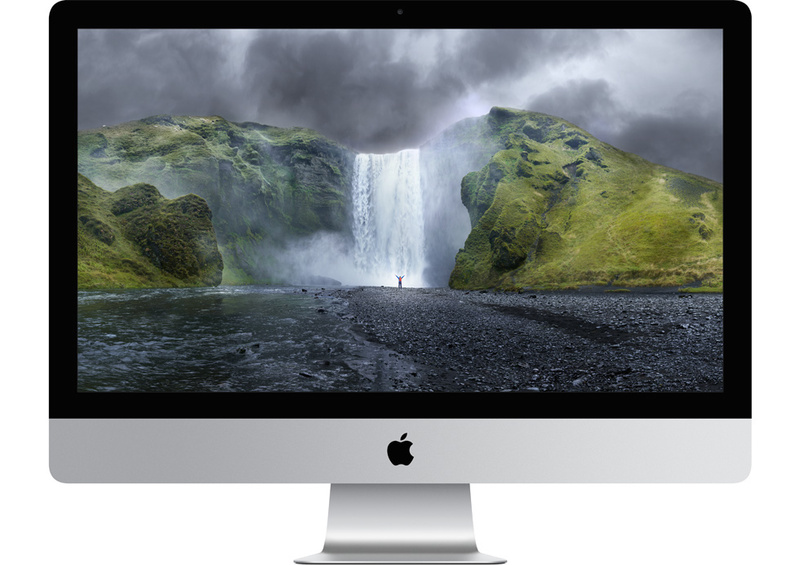 Now with its unbuffered consumer grade parts, the Retina iMac is no Mac Pro replacement. But for those of us looking for a Retina desktop, this is what we’ve been waiting for. It may even be enough for me to give up my own rule of never buying version 1 Apple devices. Now all it needs is a handle, so I could ferry it between home and the office.